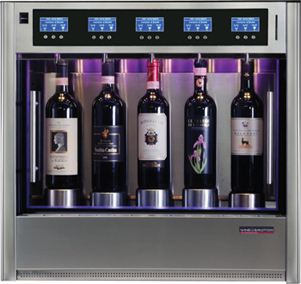 of unparalleled technology and elegant design synonymous with the WineEmotion range. It is built to handle the rigors of any commercial setting, with a space-saving and compact design for back-bar, staffed or free-serve use. The CINQUE model combines quality, design, elegance and silent functioning at the top of its category. 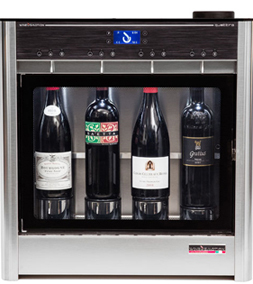 This automated wine dispenser has a uniquely controlled climatic area, allowing for the placement of five bottles in a space-saving and compact design. The OTTO is designed with its classic Italian styling to enhance any bar, restaurant or wine store. 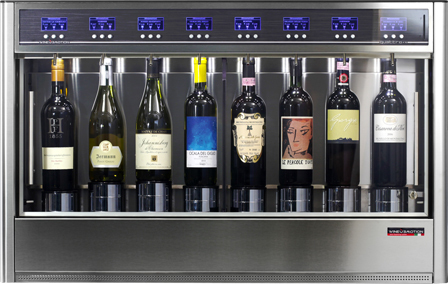 This automated wine dispenser has a uniquely controlled climatic area, allowing for the placement of eight bottles within the machine to ensure the maximum sales potential of your wine program. 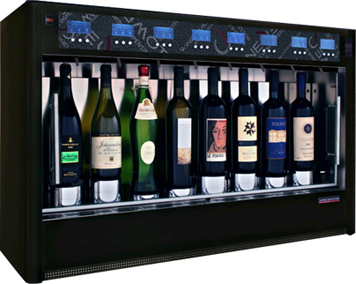 The WineEmotion QUATTRO + 4 is the most advanced wine dispensing system on the market. The QUATTRO + 4 has unparalleled technology, utilizing two temperature-controlled chambers within its elegant design whilst engineered to handle the rigors of a commercial setting.